Product prices and availability are accurate as of 2019-04-12 12:06:25 EDT and are subject to change. Any price and availability information displayed on http://www.amazon.com/ at the time of purchase will apply to the purchase of this product. Get on the Fast Track to Drumming Get ready to learn, get ready to play, get ready to rock! 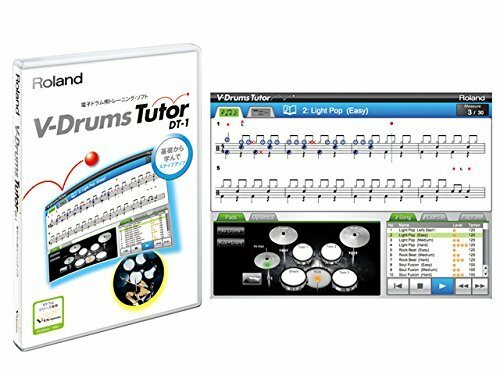 Connect your Roland V-Drums* to your computer (Mac/Windows) and prepare for a learning experience like no other. 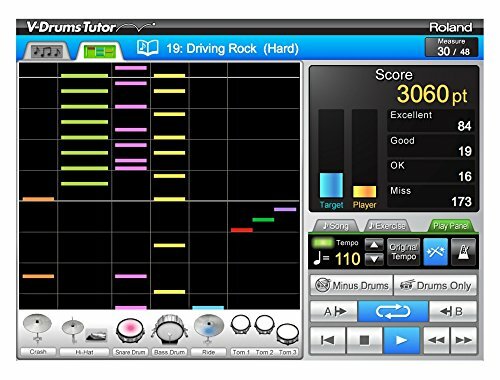 Enjoy practice in a fun format when you play along with the onboard patterns and songs using the colorful graphical interface. 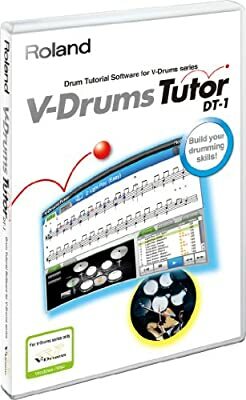 Learn drumming step-by-step from beginning to intermediate levels. 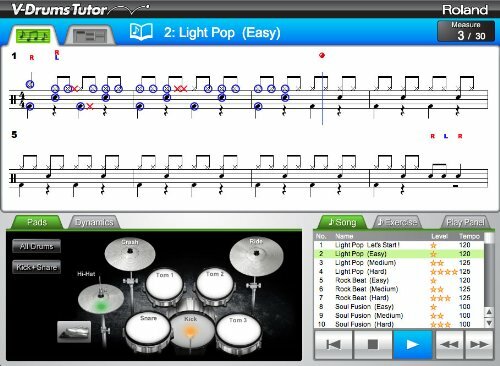 Improve your sight-reading with the Notation Screen, and enjoy drumming with Game screen. Enhance the V-Drums experience in the home as well as for private lessons and music schools. 60 preset songs and 57 basic drum patterns to build drumming skills. 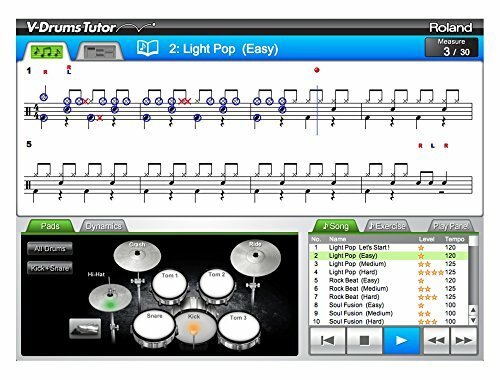 Notation and game screens teach you how to play drums. Colorful correction mark and scores display timing accuracy. Dynamic Bar Graph displays stroke balance. Easy installation of your favorite SMF data for custom practice. Compatible with Mac and Windows.